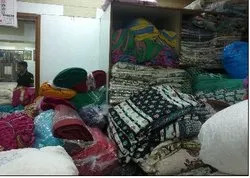 Established in the year 2007, Kesari Exports is a noted name engaged in manufacturing, trading and wholesaling an exclusive assortment of ladies sarees, suits and lehengas such as Anarkali Salwar Kameez, Designer Anarkali Suits and Salwar Kameez. The entire collection of our Indian apparels is designed by experienced and skilled designers, having a good sense of fashion and changing trends of the market. Our products are highly appreciated by clients due to the choice of only the best fabric, meticulous quality control, and the continuous creativity in designs and patterns. With our experience & understanding, we bring the perfect fusion of unmatched artistic excellence, richness combined with creative usage of various embellishments and contemporary prints. Due to its well-partition, we are able to carry out our business activities in an appropriate and best possible manner. We are a client centric organization and owing to this feature of our business we are committed to providing the fine texture, vibrant colors, designs and patterns and soothing textures. 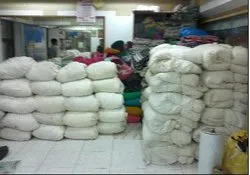 Under the profound guidance of our Mentor, Mrs. Suman Mehta / Mr. Eshan Mehta , we have made our presence felt in the realm of the garment industry. Their business acumen and industry experience have helped us in maintaining the cordial relationship with our clients by offering the highest quality, pro-active customer service and on time delivery. We nurture a team of experienced and skilled professionals, which constantly strives to create apparels with innovative designs and patterns to keep pace with the changing trends of the market. One of the best selling features of our organization is the handmade embroidery of the team of artisans. We have quality controllers in our team, who stringently check each and every fabric for durability, colorfastness, smooth finish and anti-shrinkage. After the controllers approve the products, they are dispatched so that our clients receive exquisitely designed products every time. The team works in perfect harmony towards the single goal of achieving complete customer satisfaction through quality & cost reduction.